Project aim: more good food growing --- more woodland planted --- more sovereignty over our food, water and education. 8 months since spring and 13h left of crowdfunding. Come to the farm this Sunday and celebrate with us. Hi farm friends and supporters as the last days of the crowdfunding campaign are drawing in we would love to invite you to the farm this Sunday for an afternoon get together, buffet lunch, music, gratitude and connection. Thank you card, a pack of organic seeds and a tree planted on your behalf. We will plant a fruit bush and 2 native trees on your behalf + you'll receive a thank you card and a pack of organic seeds. 2018 moy hill farm (Animal, Veggie and Crew) Calendar + Thank you card, a pack of organic seeds and a tree planted on your behalf. We will plant an apple tree and 2 native trees on your behalf + you'll receive a thank you card and a pack of organic seeds. moy hill farm Organic T shirt + Thank you card, a pack of organic seeds and a tree planted on your behalf. Guided Tour from one of the farmers, followed by Tea and Cake for you and a friend + a thank you card and a pack of organic seeds. Your name written on a sign at the gate saying you helped build this community farm + thank you card and a pack of organic seeds and a tree planted on your behalf. 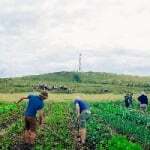 Hands on community farming workshop and an introduction to growing food with one of the farmers + Thank you card, a pack of organic seeds and a tree planted on your behalf. ‘farm gathering’ festival ticket in September 2018 with music, tours, acts, talks, camping and connection + we will plant 5 native trees on your behalf. ‘farm gathering’ festival ticket + your name on the gate saying you helped build this community farm + we will plant 5 native trees on your behalf. a signed 24"x34” print by Al Mackkinon of Fergal Smith (who will also sign it) riding a 8'0 single fin at Aileen's in Co Clare. + a pack organic seeds, a thank you note and a native tree planted on your behalf. Surf experience for you and a friend with one of the surfers, yoga, lunch and a surf in the Summer of 2018 + we will plant 5 native trees on your behalf. Custom made fourth twin fin. Customise the colour of the resin tint, choose the dimensions and choose the finish. Fourth surfboards will then custom make your board for you and have it delivered to you. Your business name written on a sign at the gate saying you helped build this community farm + 2 organic T – shirts and we will plant 50 native trees on your behalf. Signed print of the community farm + your name written on a sign on the gate saying you helped build this community farm, 2 Organic T – shirts, a moy hill farm calendar and we will plant 50 native trees on your behalf. 5 course meal from the garden for you and 5 friends + your name on the gate saying you helped build this community farm + we will plant 100 trees planted on your behalf + a guided tour from one of the farmers, followed by tea and cake and 2 x ‘farm gathering’ festival tickets. 5 course meal from the garden for you and 5 friends + your name on the gate saying you helped build this community farm + we will plant 250 trees on your behalf + a guided tour from one of the farmers followed by tea and cake and 4 x ‘farm gathering’ festival tickets. Buy the farm a working horse + 5 course meal from the garden for you and 5 friends + your name on the gate saying you helped build this community farm + 250 trees planted on your behalf, a guided tour from one of the farmers followed by tea and cake and 4 x ‘farm gathering’ festival tickets. Choose a name for a farm (horse, cow, cat, dog or donkey) animal (and receive regular updates on his or her life here) + 5 course meal from the garden for you and 5 friends + your name on the gate saying you helped build this community farm, + 250 trees planted on your behalf, a guided tour from one of the farmers followed by tea and cake and 4 x ‘farm gathering’ festival tickets. Week-long Farm Experience. Fully accommodated for you and 1 other, learning, working and growing alongside the moy hill farmers + 5 course meal from the garden for you and 5 friends + your name on the gate saying you helped build this community farm + we will plant 500 trees planted on your behalf and 4 x ‘farm gathering’ festival tickets. A month-long Farm Experience. Fully accommodated for you and one other, learning, working and growing alongside the moy hill farmers + 5 course meal from the garden for you and 5 friends + your name on the gate saying you helped build this community farm + we will plant 1000 trees planted on your behalf and 8 x ‘farm gathering’ festival tickets. Choose the name of the new native Woodland + 5 course meal from the garden for you and 5 friends, your name on the gate saying you helped build this community farm + 1000 trees planted on your behalf and 8 x ‘farm gathering’ festival tickets. Name our beetroot variety. You can name the first moy hill beetroot + 10 course meal from the garden for you and 10 friends + your name on the gate saying you helped build this community farm + we will plant 5000 trees on your behalf and as many x ‘farm gathering’ festival tickets as you like.